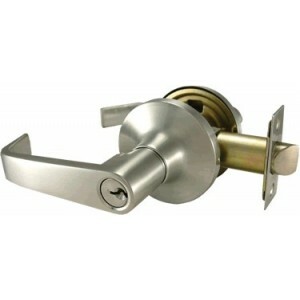 Tubular lever lock, entry function. 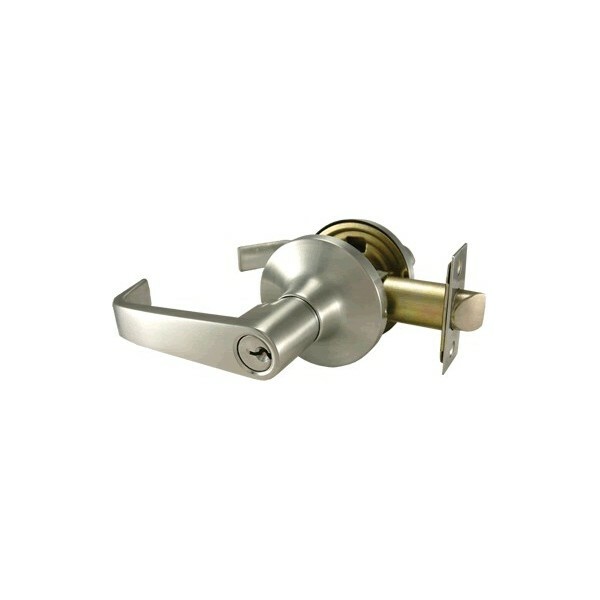 Deadlocking latchbolt operated by lever from either side except when outside lever is locked by key in outside lever or by manually rotating turn button inside.Unlocked by key in outside lever or manually rotating inside turn button. Entry/office function.